Joseph Smith was the founder of the Church of Jesus Christ of Latter-Day Saints (sometimes called the Mormons). He made his changes / corrections / additions to the King James Bible. He claimed these changes were given to him directly from God. Joseph Smith did not consider the Song of Solomon to be inspired and it is omitted from this version. 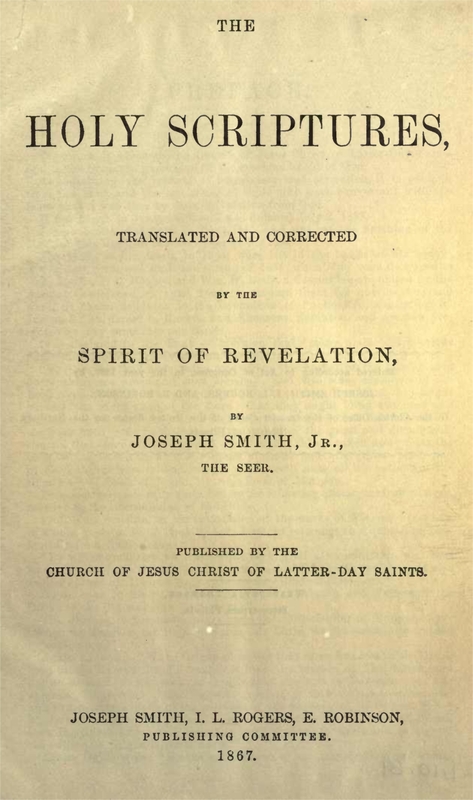 For sample verses from the translation by Joseph Smith, click here. References: Hills 1817, Herbert 1965, Taliaferro-BVE CN00072, Taliaferro-EELBV 7505.100.